Sheffield Pottery now stocks almost every color in the economical dry form as well ! Browse the sub-categories above to easily find your favorites including the new slow-cool Constellation and Crystalline Series ! They are all free shipping from Sheffield Pottery ! Coyote Glazes are easy to use glazes that are available in a wide array of colors. Ideal for classroom settings, Coyote Glazes give an expert look to all projects. Glazes are offered in multiple sizes, including pints, gallons, and dry. 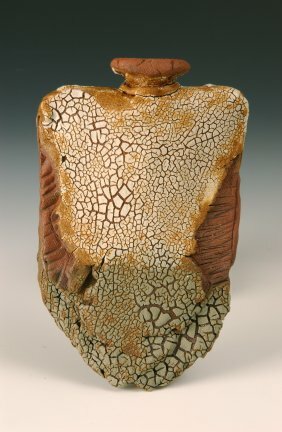 Some of the most popular Coyote Glazes are those with the cone 6 reduction glaze look. So nice to get the look of a gas kiln firing with cone 5/6 electric kilns! These can be used singularly or layered and fired to cone 6. Many like to mix and match the cone 6 reduction glazes with the satins for a unique look on even the simplest projects. Most Coyote Glazes are food safe, therefore they can be used on dinnerware. Coyote Glazes cone six glazes have been formulated to beautiful and reliable. In everyday use at Coyote Clay School, these have proven to be the perfect glazes for student use, as well as being the first choice of many professionals. Packaged in pints, gallons and 3 gallon buckets for high volume users, now also available dry. Currently the only materials that are regulated by the FDA regarding food safety in ceramic glazes are lead and cadmium. All Coyote glazes are lead free, and those containing cadmium (in the form of inclusion stains) have in our testing passed FDA cadmium release guidelines when properly fired. Because of the many variables in every studio, we cannot guarantee that your ware will be safe for food use. Firing temperature, interaction between different glazes or underglazes, or possible contamination can all affect the food safety of your work. Potters making ware for food use must test their own work to determine its dinnerware status. We recommend that ware produced for sale be tested by the potter at an approved laboratory before it is marketed. You can find information about the lab Coyote uses at http://www.bsclab.com/Pottery_Testing.html (Brandywine Science Center). Brick Red, Buttercup, Butterscotch Shino, Cedar Shino, Cherry Satin, Coral Satin, Dusty Rose, Fire Opal, Lemon Cream Satin, Orange, Peach Blush, Plum Shino, Pumpkin, Really Red, Red, Red Orange, Rhubarb, Sedona Sunset, Sunrise Shino, Sunset Pink, Sunshine Yellow, and Texas Rose contain Cadmium in the form of inclusion stains; in our testing, all of these glazes passed FDA guidelines in leaching tests for cadmium release. Blue Matt, Bronze Temmoku, Crystal Aurora, Crystal Celadon, Crystal Nebula, Crystal Lagoon, Green Matt, Green Shino, Iron Matt, Ivory Crystal, Peacock Green, Rose Crystal and Turquoise Matt are not recommended for food use, as they may change color or texture with repeated exposure to food and dishwasher detergents. The Crawl glazes are not recommended for food use due to their texture.